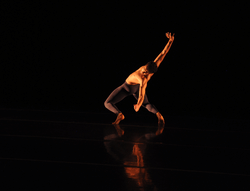 One thing dancers love more than watching dance is watching dancers do ordinary things—in a dancerly fashion, of course. 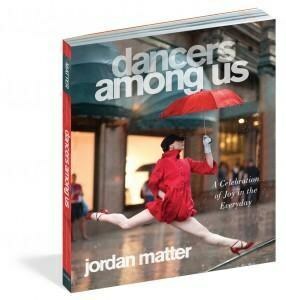 Which is exactly what you get in the portraits of Jordan Matter’s photography book, Dancers Among Us, the perfect gift for fellow dance teachers, office staff and accompanists this holiday season. There are more than 170 images: From a dancer in muddy pointe shoes at a Chicago construction site to a suited “So You Think You Can Dance” finalist soaring in front of the New York Stock Exchange, they show a broad range of dancers in everyday locations across North America.